We’ve gone to visit Etsy and see what’s happening this year for bottle crafts. The following are just a snippet of the many Christmas themed bottles that are available. This is always fun and we just might have to make it an annual event! 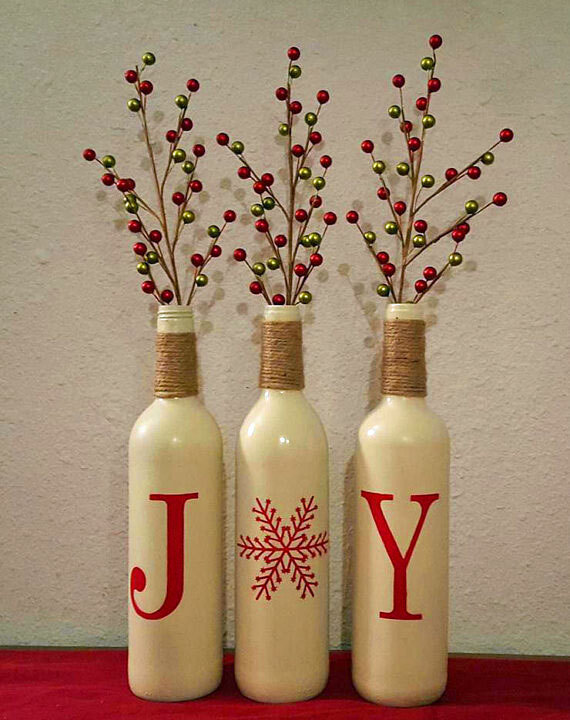 Made from a glass bottle, twine, chalk paint, this festive decoration will compliment all of your Holiday decor. 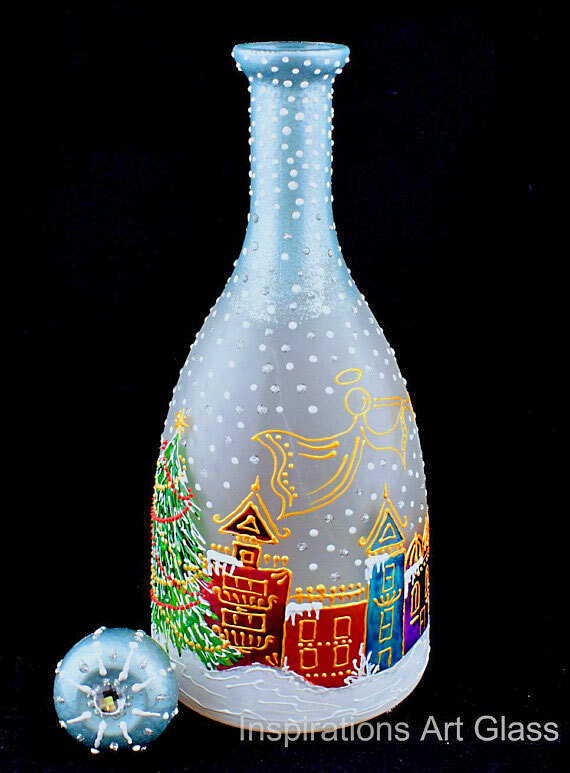 Here is a hand painted bottle that you can use for liquids, decoration or as a vase. 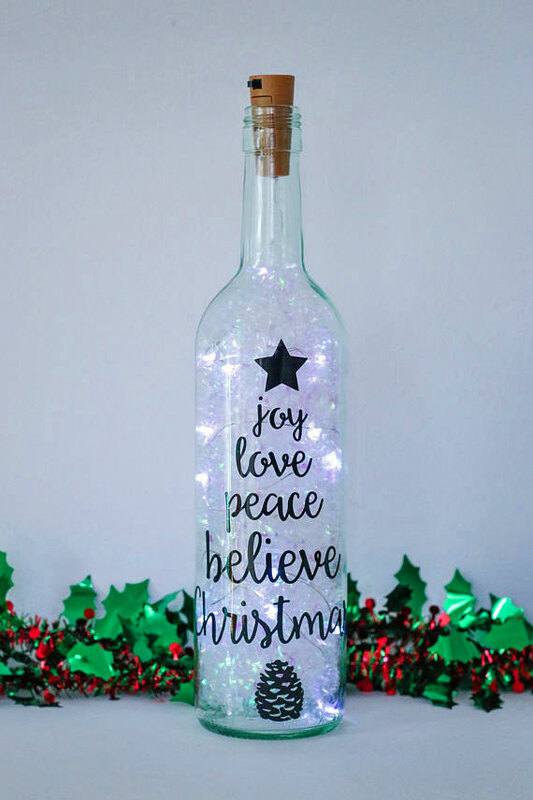 This bottle lamp has an LED copper wire strand with a Christmas theme decoration. Choose from anyone of these five decorative bottles. 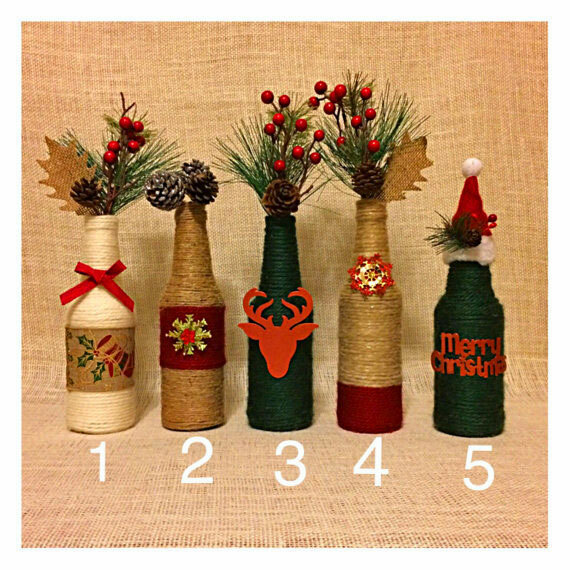 Made from a glass bottle, yarn, twine, ribbon, and Christmas decor. Spray painted, sealed, added permanent vinyl to the front, and then wrapped the stem is complimented with twine. 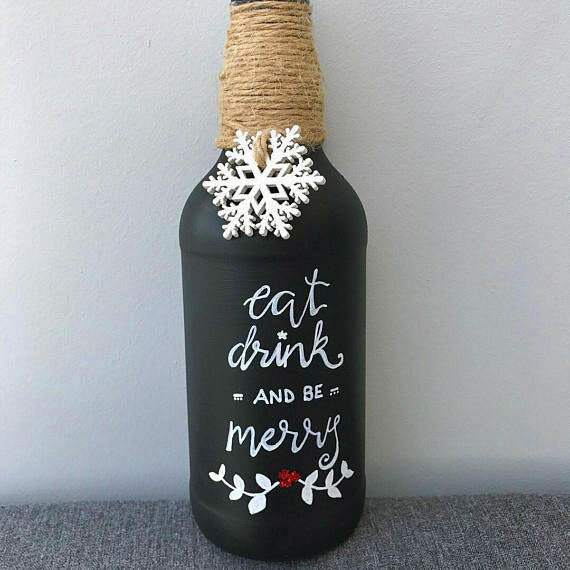 With all of the Holiday cheer that brings your home together you can enhance your Christmas spirit with these and many other uniquely decorated bottle crafts on Etsy. Remember that when you support a small business, you are supporting a dream! Thanks for rounding these up. I like the line up on the Christmas Bottle selection. So many to choose from!